The foals shown below are just a sampling of the outstanding get of Impressive Equi Te. 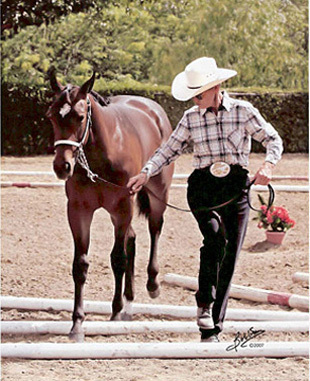 He is new to California, so be one of the first to Build Your 'Equi Te'! Leading in yearling Inhand Trail. Look for her at all the Yearlying LL futurties. Out of APHA Champion Producing mare "Sunnita". Multiple weanling and yearling futurity winner and money earner. Out of daughter of APHA Champion "Sonny Dee Page the Calvinatrix. "Raise Your Glass", Cuervo Margarita. Owned by Steve and Bonnie Udall.